Lighten up with these color-changing, energy-saving LED bulbs. There’s one big reason you want to replace your lights with LED bulbs: Longevity. A 12-watt LED lightbulb can last up to 25,000 hours, saving you money and the hassle of replacing bulbs every few months. LED stands for light emitting diode, and LED lighting products not only last many times longer, they use up to 80 percent less energy than traditional incandescents, thus saving you money. Yes, they can be pricey, but you get back the money in long-term energy savings. The Department of Energy reports that LEDs emit very little heat, meaning you won’t burn your fingers when touching them, which is a boost for parents. And LED bulbs do not need to be recycled in the same way as compact fluorescent light bulbs (CFLs) because LED bulbs do not contain mercury, so you can dispose of them without going to any great lengths. 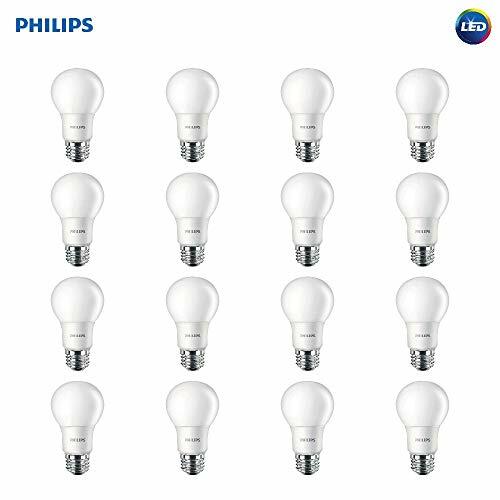 In short, LED light bulbs are superior in every area when compared to your stale, old incandescents. But even with the new types of bulbs come considerations. We’ve broken down our favorites to offer some helpful advice before you make your first or next purchase. Scroll down to find our favorites. At its heart, this color-changing LED bulb is just fun. These bulbs, which set whatever mood you want, are ideal for floor and table lamps, to provide ambient light. Pros: You download the app, connect the bulb to the Hue Hub (sold separately), and get to work. Or rather, we mean play, because you can choose from pre-set moods or pick your own colors from a palette. You can play with its color palette, and adjust the lighting to your mood, going from bright white to burnished purple to electric green. 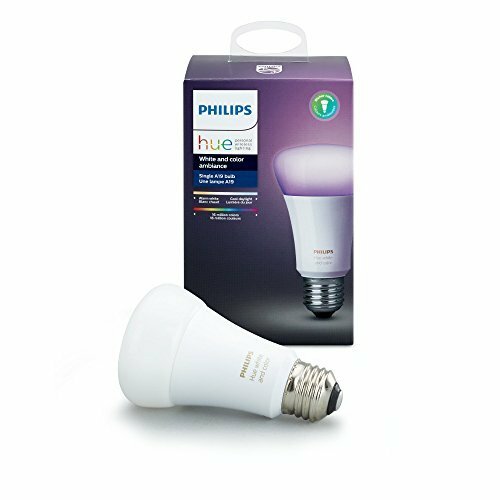 Cons: You need the Hue Hub for this bulb to work as intended, which is not cheap, and neither are the bulbs themselves. As long as you're getting the Hue Hub, also invest in this LED lighting strip. It's great for barbecue season, because it is fully weatherproof, meaning it can withstand all weather conditions and you can use it in your yard or on your deck. Pros: Like the bulbs, the LED strip works with Alexa or Google Home. It can be used outdoors, or inside. It has a total lifetime up to 25,000 hours of light, and can be attached anywhere you want. Plus, it has a fully adjustable color palette. Cons: It’s not cheap and also needs the Hue Hub to work. It works best in smaller areas. Energy efficient, affordable, and from a brand you know, there’s a lot to love with the Sylvania Home Lighting 74765. Stock up and make the switch across you entire home without breaking the bank. 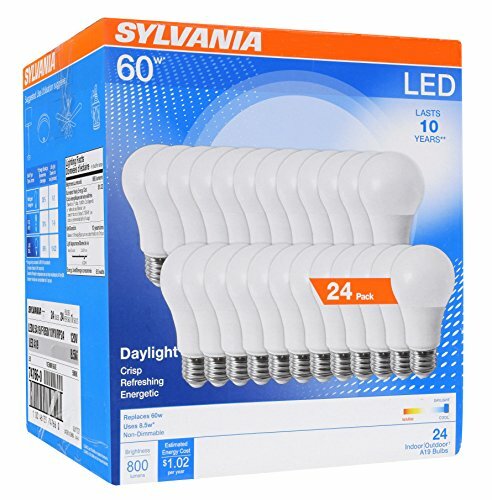 Pros: The greatest strength of Sylvania’s 60-watt-equivalent bulbs is their cost. For $36 Prime-shipped to your front door, you receive a massive 24-pack good to cover every lamp in your house with a couple in reserve. Each lasts for approximately 11,000 hours. We also like the option of choosing your preferred color temperature. Go with the 5,000-Kelvin option for a true white (commonly referred to as “daylight”), while those looking for a warmer touch can buy the same performance keyed to a yellower 2,700K. Cons: Because of their popularity and ubiquity, there’s a risk of receiving imitation bulbs, which lack the performance of the genuine model. The problem has become so bad that the company itself has issued a warning on Amazon. Upon receipt, check to confirm Sylvania’s logo near its base for authenticity. We’re a big fan of the Amazon house brand AmazonBasics, and its LED lights just fan our flame. While we had to select a model for this list, the line includes a range of shapes and wattages, making it an easy choice with a rock-solid guarantee. Pros: Tuned to the daylight-balanced 5,000K, this bulb pumps out the light of a 100-watt equivalency. We also like its guarantee of 15,000 hours of usage. For those interested in other looks and color temperatures, this product is available in clear and soft-white (2,700K) options. 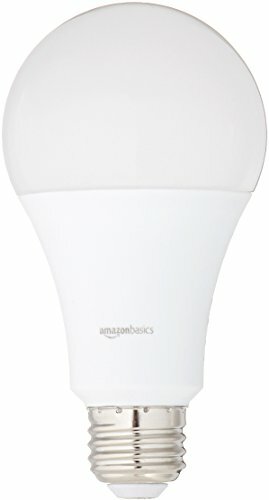 Cons: Some complained of their girth: “I’ve used a couple of other brands like Philips and Twinn, and I can say without a doubt, the AmazonBasics are the largest LED bulb I’ve come across,” one customer complained. Then there’s the cost: For a few more bucks, you can get triple the amount with Sylvania. Still, a product is only as good as the brand that stands behind it, and we have nothing but good things to say about Amazon’s guarantee and support. One of the bigger risks with light bulbs and kids is what happens after they break (because they will occasionally). We like the Philips LED bulb design, as it emits a great amount of light while having little glass to pick up in the event of an accident. Pros: Like others on this list, you should expect around 11,000 hours of use before need to replace these daylight-tuned bulbs. But we love these because of their plastic lower half, which, while not impeding their 60-watt-equivalent output, cuts down on the amount of glass that can fragment after contact with a spiraling football. Fewer glass pieces is more safe and allows for a quicker cleanup. Cons: Available in either a 12- or 16-pack, we wish there was a lower-volume means of trying out this bulb. Unfortunately, you’re either all in or out. 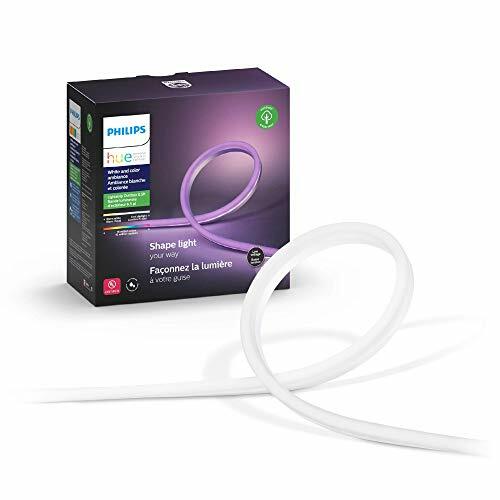 However, if Philips’ reputation is any indication, it’s safe to go out on a limb. 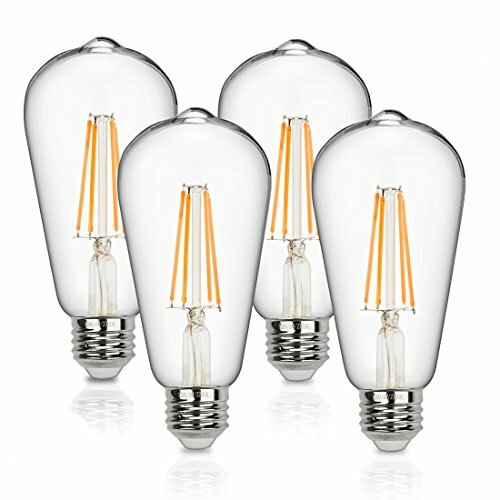 Whether you’re a fan of the vintage aesthetic or your partner is, Seaside Village Vintage’s LED Edison Bulb four-pack gives you the classic look with the energy-saving, eco-hugging capabilities of the other bulbs on this list. Pros: With Edison bulbs, it’s all about the look, and these have it. Keyed into the color temperature of 2,700 Kelvin, these are markedly more yellow than the other, daylight-balanced bulbs on this list. But then again, the warm yellow color is what you want in an Edison bulb. We also liked the fact that these work with dimmer switches, allowing you to customize the brightness of their 60 watts for the perfect ambiance. Cons: Thirty bucks for four bulbs is pretty pricey, so you’ll pay out the nose for that perfect look. Still, they’re a great, long-lasting alternative to the traditional silhouette.